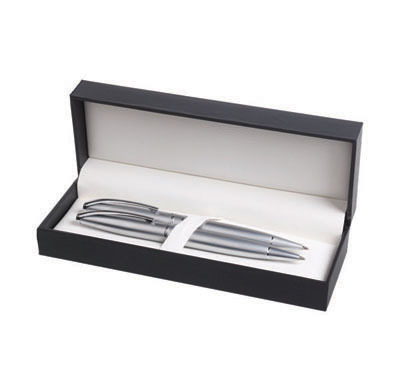 Waterford ball pen and 0.7 mm Pencil pen in a hinged, cushioned HI-Line Gift Box. A rollerball can also be supplied instead of the ball pen or pencil (POA). The box can be printed at an additional cost.